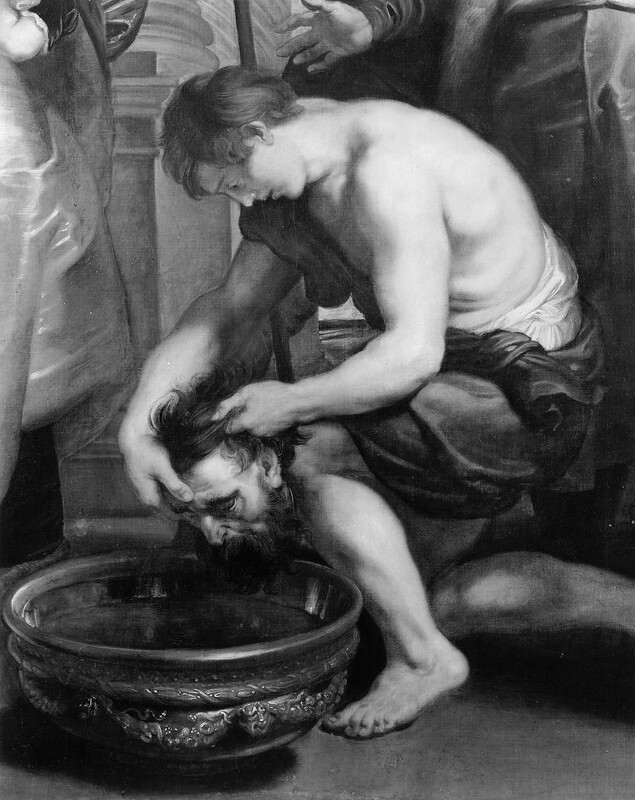 Rubens stages the story of Queen Tomyris, who defeated the Persian king Cyrus and had his head bathed in blood in revenge for his treacherous role in the death of her son. 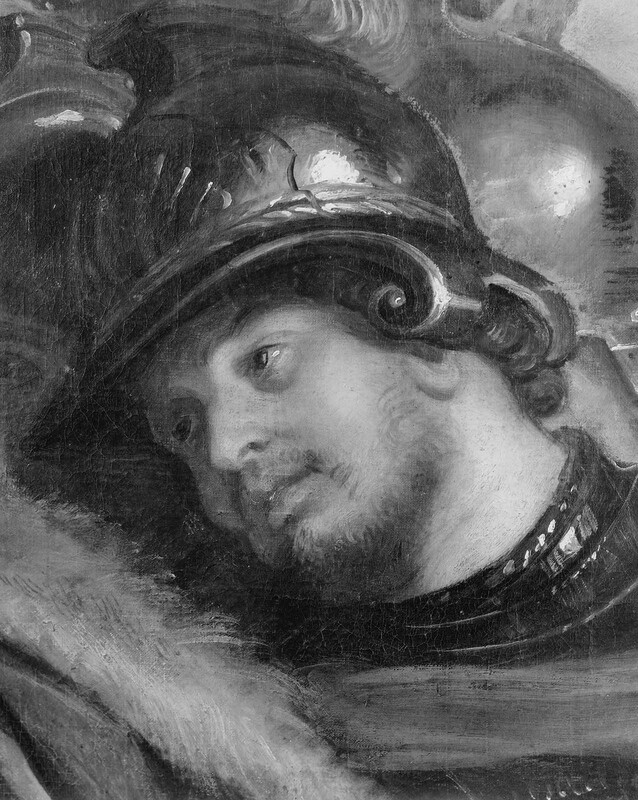 The painting may have been commissioned by Rubens’s patron Archduchess Isabella, ruler of the Southern Netherlands, to symbolize just retribution by a virtuous monarch. Pageants and processions in Isabella’s honor had linked her with Tomyris and other warrior queens of antiquity. 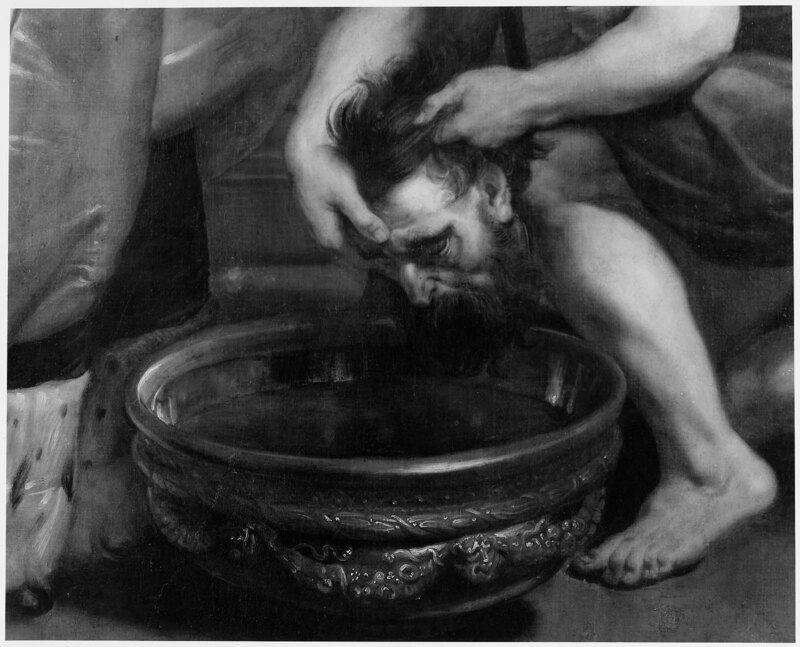 The painting was probably designed by Rubens and largely executed by studio assistants, under his supervision. 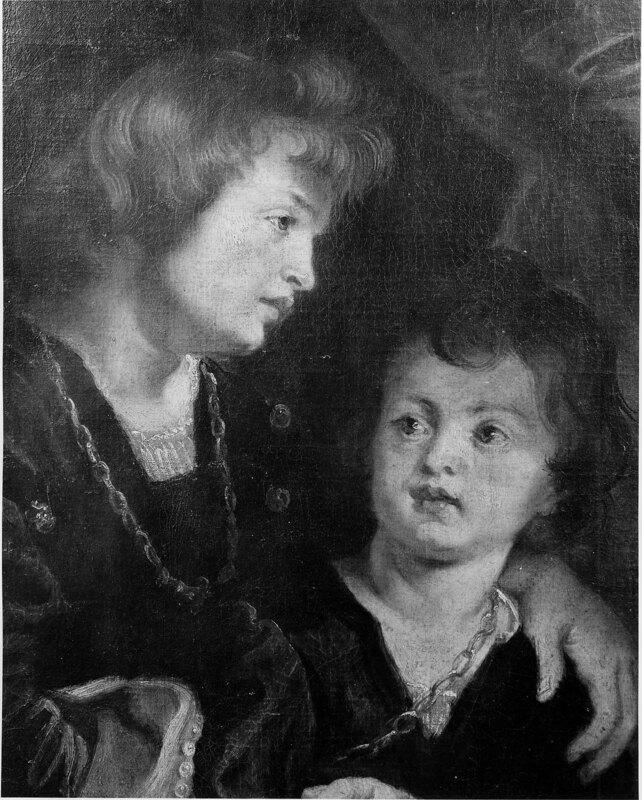 Rubens’s sons served as models for the pages at left. 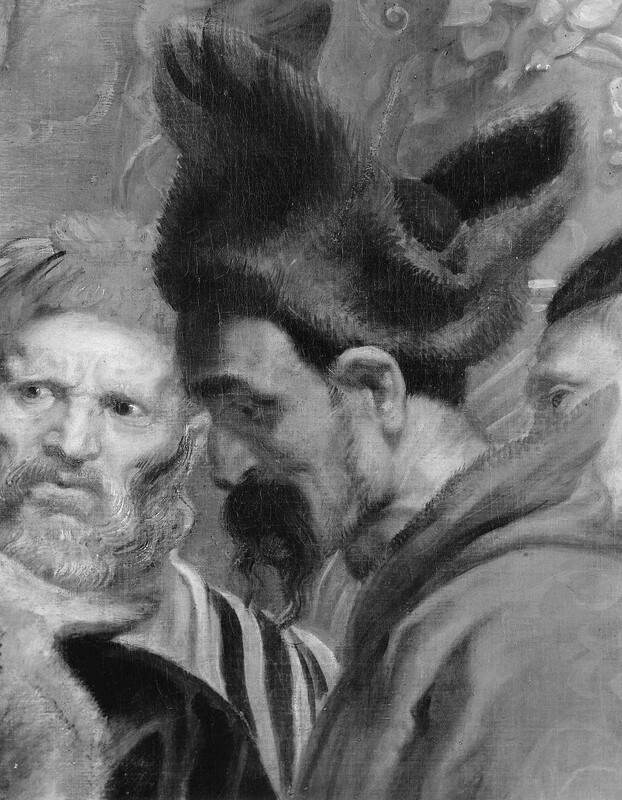 According to a letter from the Brussels art dealer P. Christyn to the Antwerp art merchant Matthijs Musson (December 16, 1643), an unidentified man had recently purchased six large Rubens paintings from the "Hof," or palace of the dukes of Brabant in Brussels. Among these was "the head of Cyrus which is being presented to a queen, with many accompanying figures, that is very well painted." 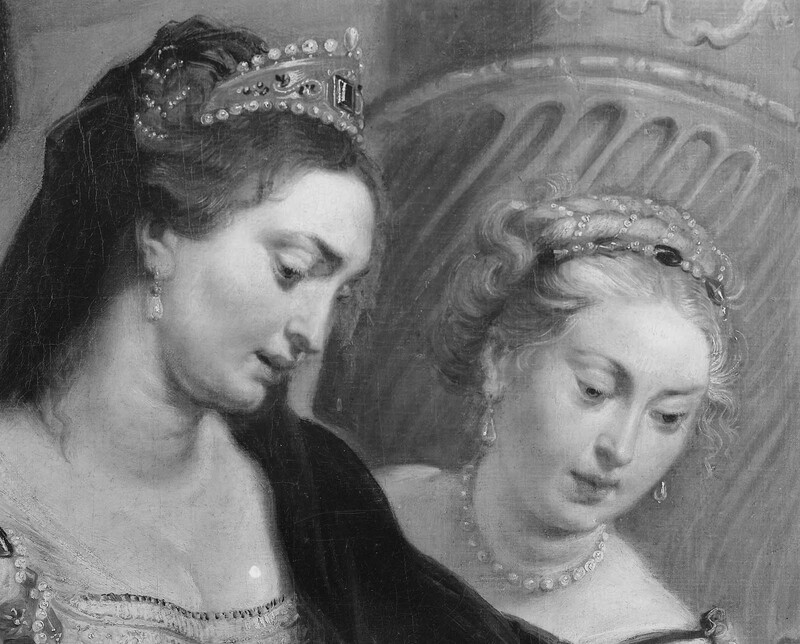 The six paintings were probably owned by the Infanta Isabella and were passed along at her death to the Cardinal-Infante Ferdinand of Austria, then sold after his death in 1641. 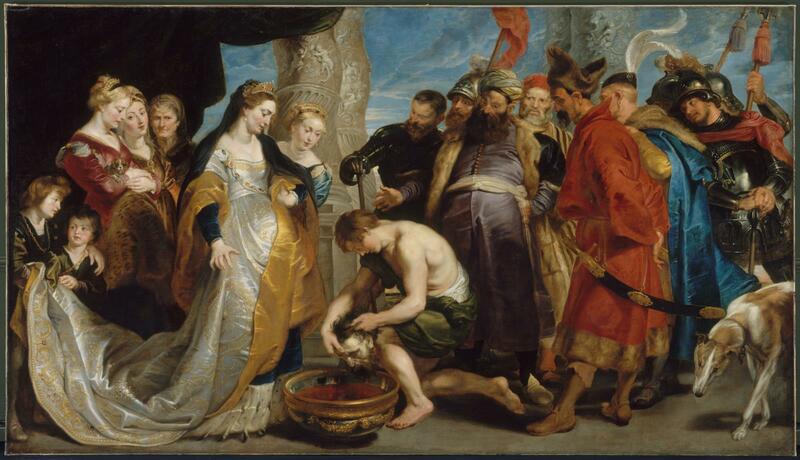 See Robert W. Berger, "Rubens's 'Queen Tomyris with the Head of Cyrus,'" MFA Bulletin 77 (1979): 11-12. 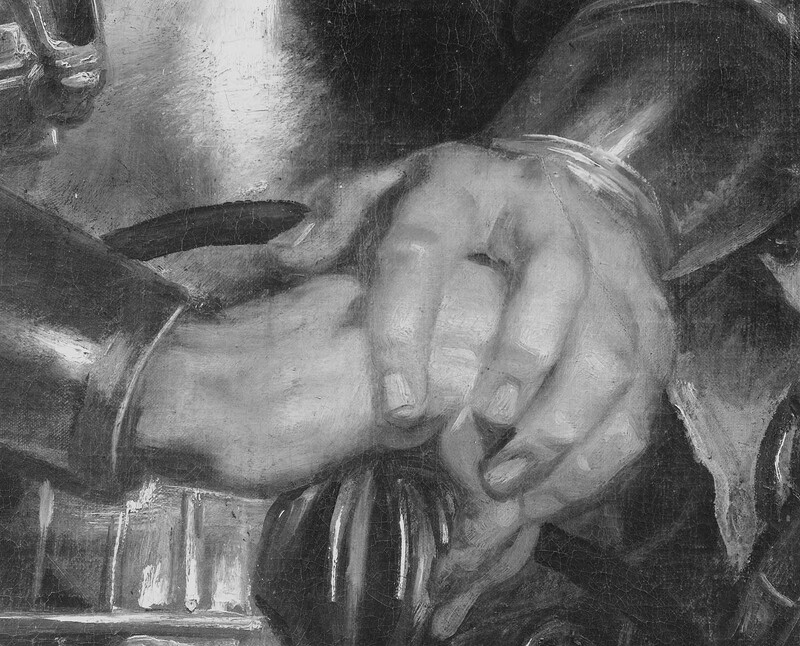 He suggests that Isabella commissioned the painting around 1622/23 as an allegory of her power and virtue (see pp. 22-23). 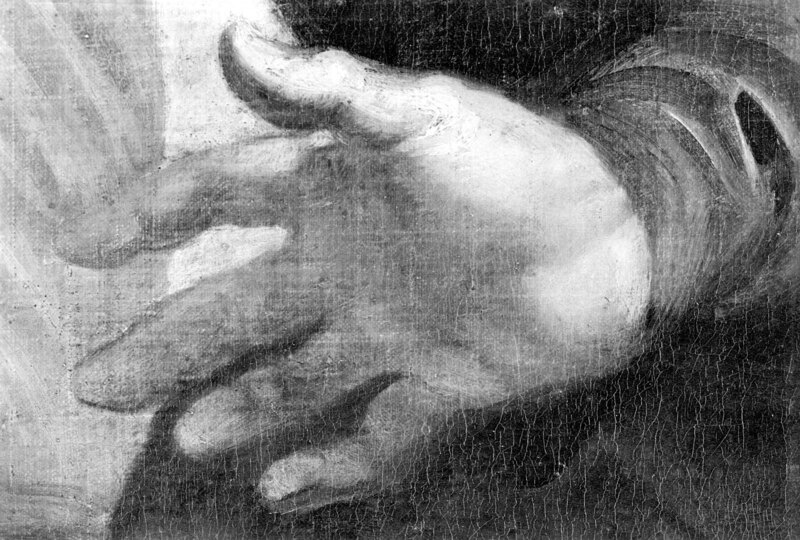 Musson drew up a stock of paintings that were to be offered for sale to Amalia von Solms (October 26, 1645), designated "pictures which come from the Infant[e]", that is, Ferdinand of Austria and which included "a picture of King Cyrus whose head is placed in his blood, with fifteen figures, quite pleasant, by Rubens, life size." See Berger 1979 (as above, n. 1), p. 11. In the MFA picture are fifteen clearly legible figures (two armored guards obscured at the right, which may account for the discrepancy). 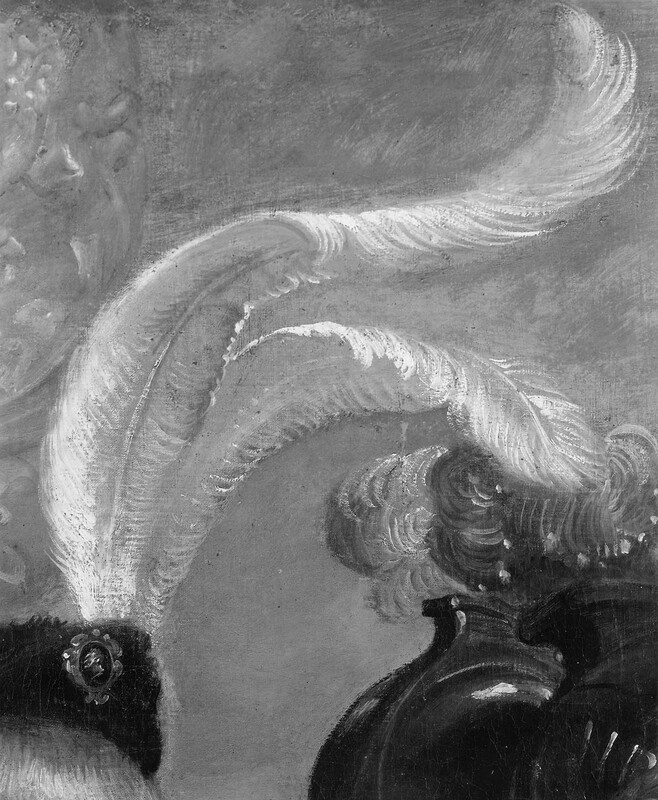 The painting was listed in inventories of Queen Christina's collection in Rome in 1662 (probable date of document), 1688, and 1689. 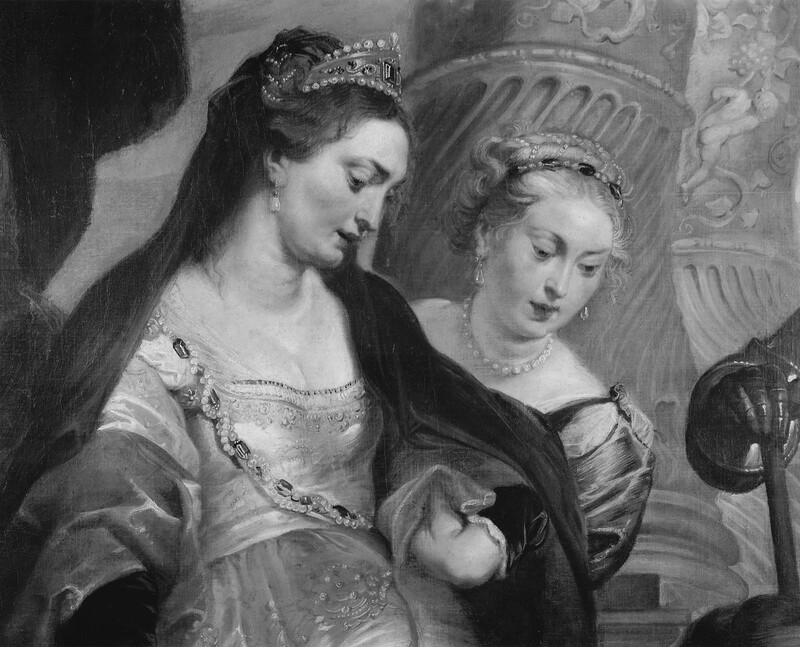 Five of the six Rubens paintings named in Christyn's 1643 letter (cited above, note 1) ended up in Queen Christina's collection. See Berger 1979 (as above, n. 1), p. 14. Christina bequeathed her collection to her close friend, Cardinal Decio Azzolino. He died only months after she did, leaving the collection to his nephew, who sold nearly all of it. 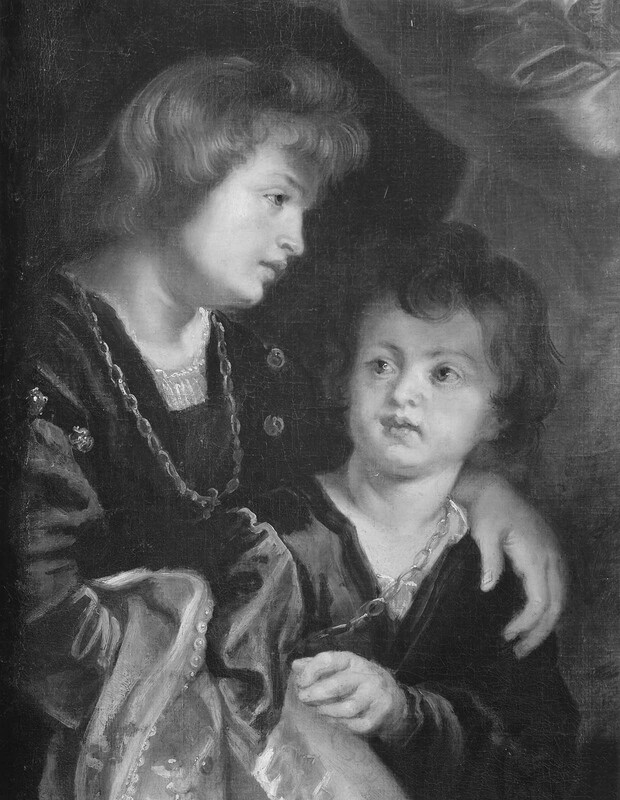 Philippe d'Orléans sought to acquire Queen Christina's collection of paintings as early as 1714, when he first sent Crozat to Rome to negotiate a purchase. The contract for sale was not drawn up until 1721. Thomas Moore Slade, Baron George Kinnaird, and Mr. Morland and Mr. Hammersley sought to acquire the entire Orléans collection of paintings as early as June, 1792, but were unsuccessful. Subsequently, after the Italian paintings had been sold, Slade returned to Paris to negotiate the purchase of the Dutch and Flemish pictures. His offer was accepted and he took the paintings with him to England, where he sold them privately in 1793. See William Buchanan, Memoirs of Painting (London, 1824), vol. 1, 159 - 164. 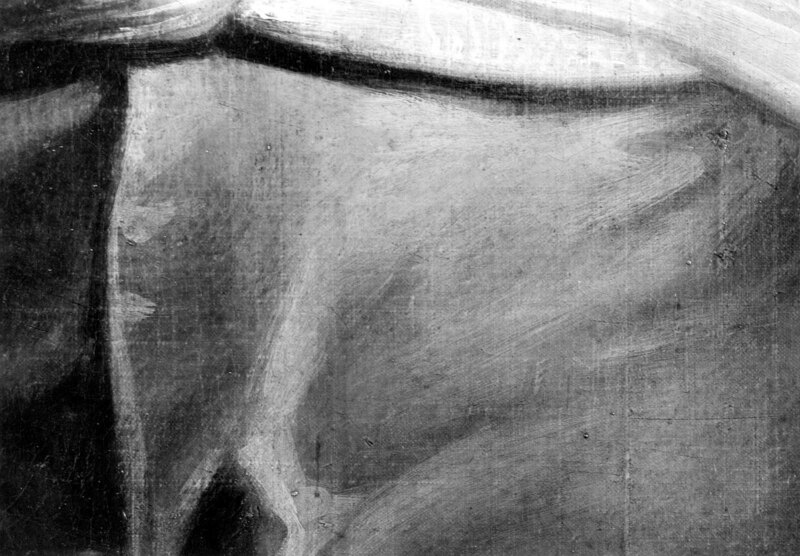 Lord Darnley lent the painting to the exhibition "L'art belge au XVIIe siècle," (Brussels, June - November, 1910), cat. no. 407. In 1914, the MFA considered purchasing the painting through Richard Norton, at that time in England; Norton acted as an art expert on behalf of the museum. He wrote to MFA director Arthur Fairbanks (March 12, 1914) that Lord Darnley was preparing to sell some of his pictures and recommended the Rubens painting of Queen Tomyris with the Head of Cyrus for the museum. However, the trustees declined to purchase it. According to a letter from Robert Langton Douglas to Charles C. Cunningham of the MFA (June 25, 1941; in MFA curatorial file). 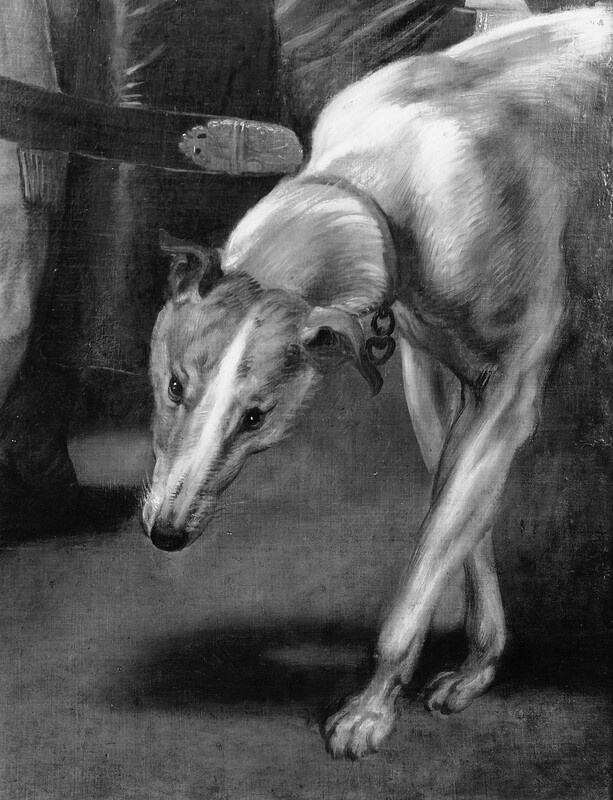 Douglas did not specify whether it was acquired directly from the Darnley family.